I was very close to my dear friend Joey. We first met 40 years ago, around the time I went to the Naumberg Competition in 1975. 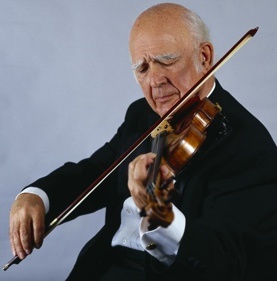 He was a violinist’s violinist and a superb human being – very modest and he never touted his own accomplishments. He had an encyclopedic musical knowledge, and when I had any kind of musical question I would always ask Joey what he thought about it. It wasn’t just music either; he had a tremendous knowledge of everything – politics, art, literature – you could sit down and talk to him about almost anything. He knew the violin repertoire inside out. Any piece of music you could possibly mention, he knew about it and had studied it. And as a concertmaster he knew all the orchestral repertoire too. He was a phenomenal concertmaster, maybe the greatest of all time, and his love of the orchestra repertoire really stood out. He didn’t just study the violin parts, he learnt all the scores as well. That’s the way he was – incredibly thorough. He felt that a musician’s duty was to be well rounded, to play chamber music and learn the orchestra repertoire as well as the violin repertoire. Often when people would be just noodling around before a concert, playing Paganini caprices or whatever, Joey would be noodling playing orchestral repertoire! He had a beautiful sheen to his sound and when he was concertmaster of the Boston Symphony, he really shaped the sound of the orchestra – not just the violin section but all the string sections. Burton Fine, who was principal viola at the time, was in school with Joey and knew his playing well. They all worked towards the same thing and every single person in that orchestra had the utmost respect for him – and that’s not something that you can say about everybody! Joey was also a fine conductor. He conducted for me many times and we recorded together too, including Joseph Achron’s First Violin Concerto, which had never been recorded before. In the rehearsal I remember Joey sitting down at the piano and playing chords for the orchestra, because he was just so involved in the score. He knew every single detail of everything that was going on. Once we played the Bach Double together. It was fantastic! We went through the piece once before the first rehearsal and we barely talked about anything. We just listened and followed each other. He was the easiest violinist to play with because he was completely musical. I believe I was still at Manhattan School of Music when Joey came to play there. I remember he performed Ravel’s Tzigane and he was playing his Guadagnini, the ‘ex-Grumiaux’ of 1773. I always loved that instrument and it suited him very well. He made a lot of the early Boston Symphony recordings on that fiddle and it sounds beautiful. 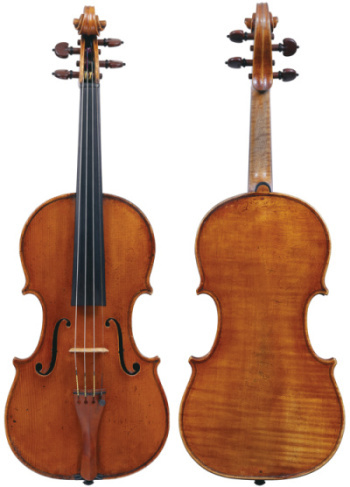 It was in mint condition – I don’t remember any cracks – and it had quite a heritage as it was previously the violin of Alfredo Campoli as well as Arthur Grumiaux. Joey was very much attached to the Guadagnini but he always wanted a ‘del Gesù’. When one was loaned to him by a collector [the 1741 violin formerly owned by Camilla Urso], of course he fell in love with it and when the opportunity arose, he bought it. He struggled with it a little at first because it wasn’t the same kind of instrument as the Guadagnini and he felt it wasn’t sounding the way he remembered. He even thought perhaps he’d made a mistake in buying it, but of course he hadn’t. It needed some work on the set-up, so he took it to Jean Schmitt in Lyon. I was with Joey soon after that and he gave me the fiddle and said, ‘Here, try this. I think the sound has completely changed.’ And it did sound terrific. I don’t know what Schmitt did, but Joey was very happy with it. After that he took it to Andy Ryan for a major restoration, as it needed the old cracks cleaning and retouching, and I believe he did some work on the set-up too. Joey was extremely happy with it after that! I played it myself several times and it was terrific. It felt like a ‘del Gesù’, in that you had to find out exactly what worked on it. Strads are easier to play in terms of finding the center of the sound. You have to play Guarneris with a little more strength and Joey was a vigorous player with a strong bow arm, so it was well suited to him. But I thought the Guadagnini suited him too, even though they were very different violins. He spent so much time with those two instruments that he found what worked on them and really made it happen. 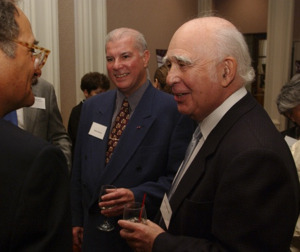 Joseph Silverstein died on November 21, 2015.